A few years ago I read a great online short scifi story about a boy (either in high school or college) who kept wondering what the point of life is. The story then describes how immortality became fact through medical and technological advances and proceeds to follow the boy throughout billions of years until he finally witnesses the end of the universe. I've searched for hours on the web but can't find the story. If anyone could direct me to it, I'd greatly appreciate it! First of all, thanks to all the links and suggestions. I've read some great scifi thanks to you guys! But unfortunately I still haven't found the story I was looking for, though I spent many more hours looking on the web. 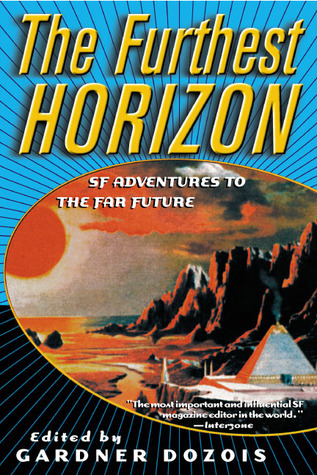 It sounds like "The Days of Solomon Gursky" by Ian MacDonald, found in various sci-fi collections including 'The Furthest Horizon' edited by Gardner Dozois. Solomon is a young scientist who perfects an immortality serum and basically lives until the end of the universe and beyond. There's a full (and I can only assume copyright-friendly) copy linked above. "Any reason? No massive megadeath weaponry and man's self- destructive behavior being its downfall?" "How boring. Well, I'm ready to go, then." One possibility is "Judgement Engine" by Greg Bear, which follows a protagonist and his partner through to the last moments of the universe. I can't remember what age the protagonist is when it starts though; I'll check tonight. It's possible I'm conflating this with another story in the same collection (at least where I read them) - "The Days Of Solomon Gursky", which Valorum has already suggested above. Once I've checked I'll either expand or delete this answer. Need help finding a short horror story - circa 1970's or 80's “Fishing”?